Such a fun swap - I would definitely do another one! 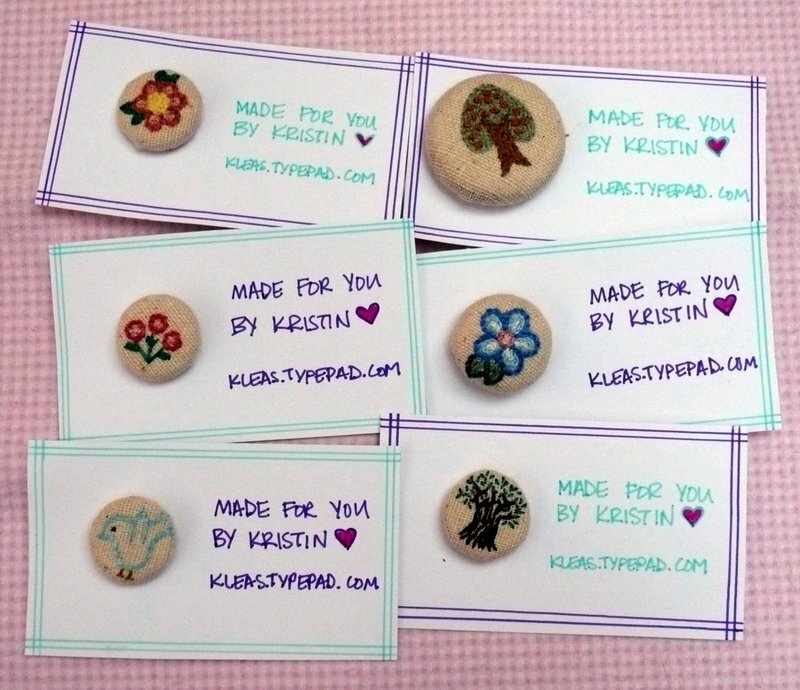 The buttons are SO fun to make and very quick! Thanks so much for hosting. I hope you and your family continue to be ok - we're praying for cooler weather down in SoCal so they can get the fires under control! I am very much looking forward to the next swap. I think your pictures turned out great! I was think about you when I heard about the fires. Horrible! Think rain! I loved learning how to make covered buttons and am now addicted so please count me in on your next button swap. Stay safe and indoors and don't worry about the pictures. Michelle, they are wonderful! I can' t believe I somehow missed this swap...it's such a delightful idea. Praying for you here in WNY...that your family remains safe. I'm sorry you're in the middle of the fires. It must be scary and I hope it's all over soon. All the buttons are amazing! You had some talented people participate in your swap. 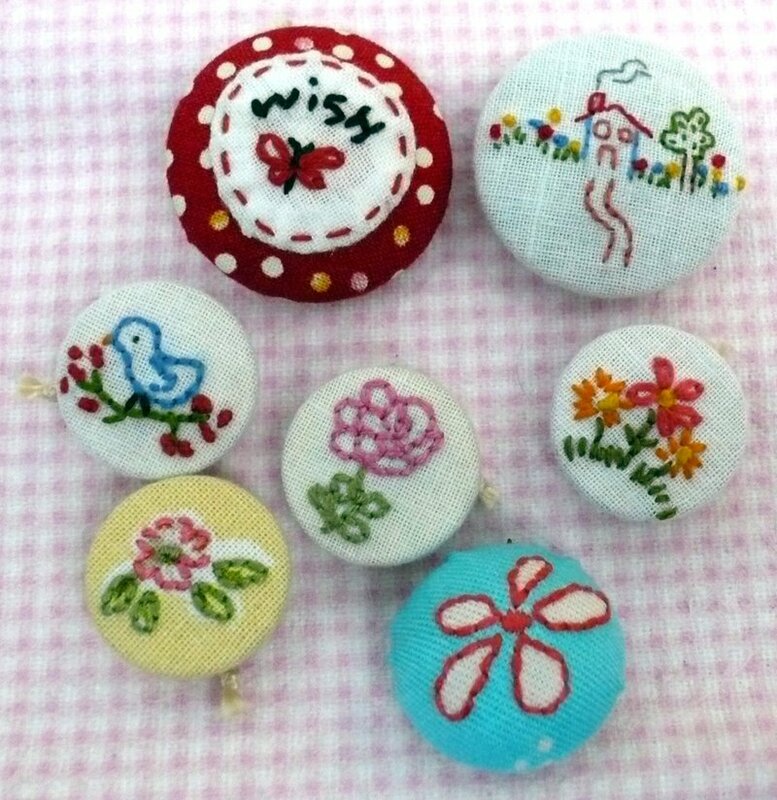 The buttons are all very inspiring. Such gorgeous buttons Michelle! I can see why it would be very hard to stop making them! My thoughts and prayers are with all involved in putting out the current bush fires. I have relatives living in that area too. 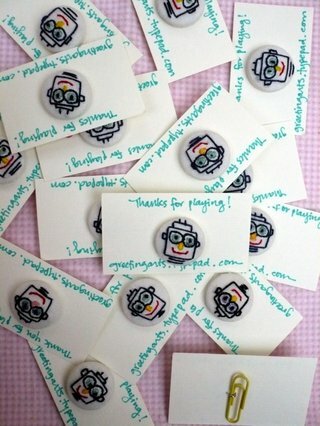 Did you get my email regarding your free fabric win? Please email kristin@sewmamasew.com. Thanks! Hi! Love your buttons. Come over for a visit. All the way from Malaysia. I missed out on this swap, so I am really excited to hear you are having another one next year. I can't wait! 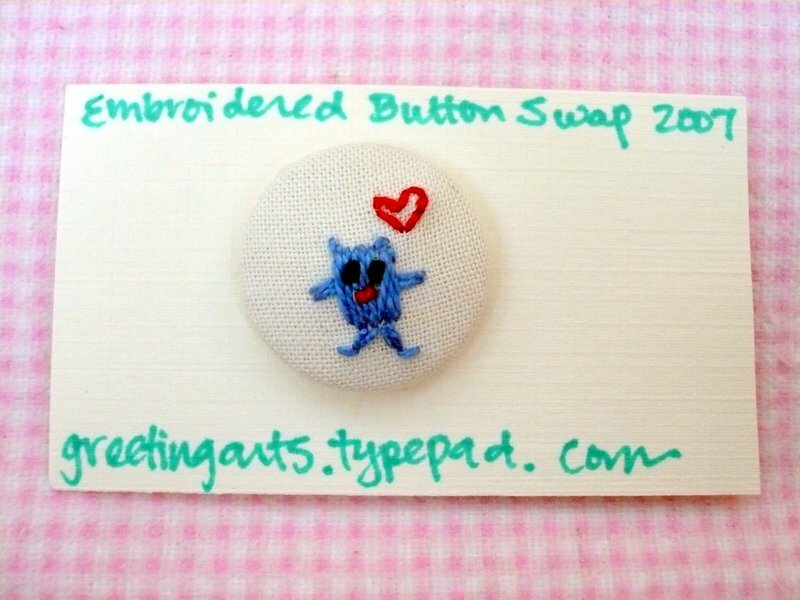 I'm kicking myself over not joining this swap, I didn't think my new embroidery skills were good enough but I am totally joining the next one! 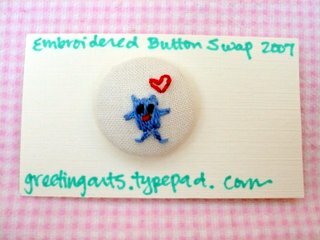 I would love to join the next button swap when you decide to have one. They are so beautiful!